Just in time for Martin Luther King, Jr. Day, join fellow Assemblers at the Museum of Tolerance in Los Angeles. Established in 1993, the Museum of Tolerance has welcomed over five million visitors, each becoming witnesses to history while exploring the dynamics of bigotry and discrimination that are still embedded in society today. 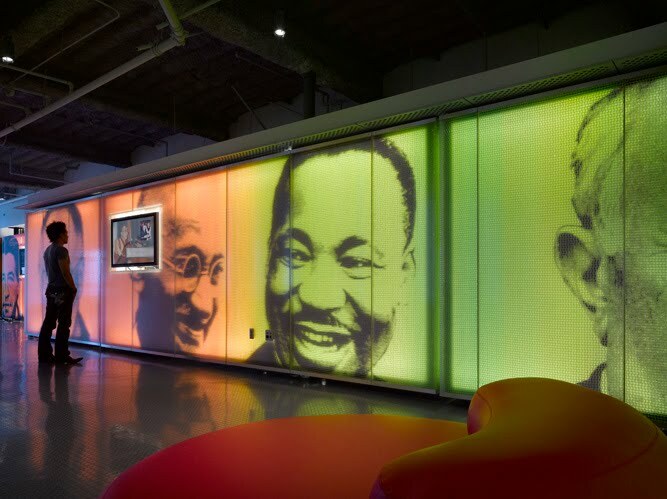 Through interactive exhibits, special events, and customized programs for youths and adults, the Museum engages visitors hearts and minds, while challenging them to assume personal responsibility for positive change. We'll meet outside the entrance at 11am before going inside and viewing one of the main exhibits as a group. I recommend the Tolerancenter exhibit first (focusing on intolerance both here and around the world, and includes a section on the Civil Rights movement in America), but we also can vote to see the other exhibits on the Holocaust, "Finding Our Families, Finding Ourselves" (genealogy-inspired), or "Para Todos Los Ninos: For all the Children" (on fighting segregation and discrimination in California). Note: Due to content, most of the exhibits are recommended for children over 12 years old. Families with younger children are recommended to visit the all-ages "Finding Our Families, Finding Ourselves" exhibit. General admission is $15.50 for adults, $12.50 for seniors, $11.50 for students with ID and children ages 5-18, and free for children under 5 and active-duty military. Admission to the premium Anne Frank exhibit is available at additional cost. I'll update this page with online ticket reservations once they're available. As of this original posting, discounted tickets are available through Groupon for a set of 2 adult tickets, or a set of two adult and two children tickets. There is free underground parking at the museum. See you there!